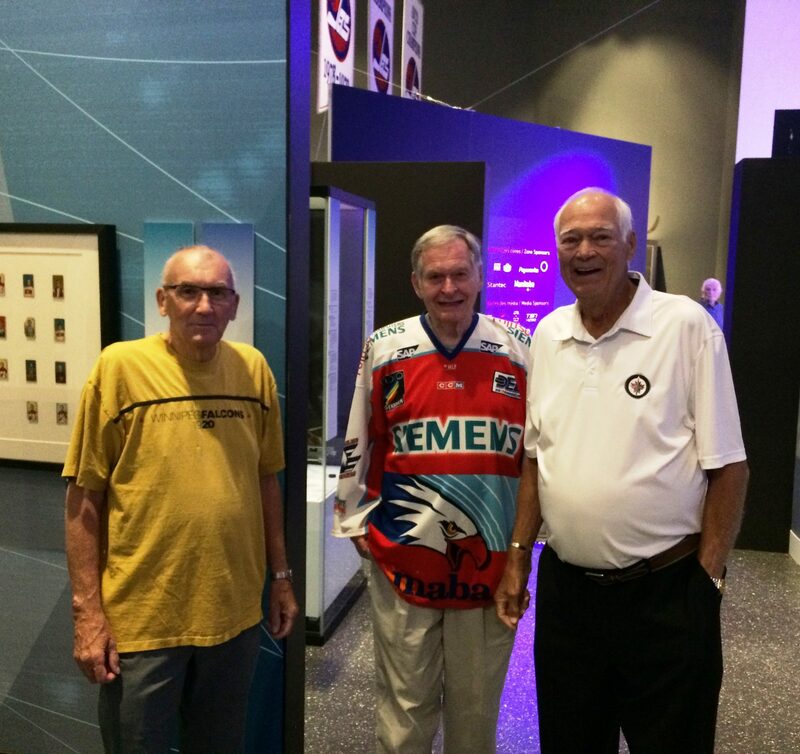 Kent Morgan, Ted Holland and Manitoba Hockey Hall of Fame member Ab McDonald are seen here taking in the Manitoba Museum's Hockey: The Stories Behind our Passion exhibit which will run from July 6, 2018 - January 13, 2019. This exhibit, developed by the Canadian Museum of History where it premiered, March 10 to October 9, 2017, details the evolution of the sport through historic highlight reels, interactive components and one-of-a-kind artifacts. Visitors will find themselves in the places where Canadians live and breathe hockey: from dressing room to press-box, rink to corporate boardroom, players' bench to backyard game. They will come to understand why hockey holds such a significant place in the hearts of Canadians. Check out the Museum hours here.